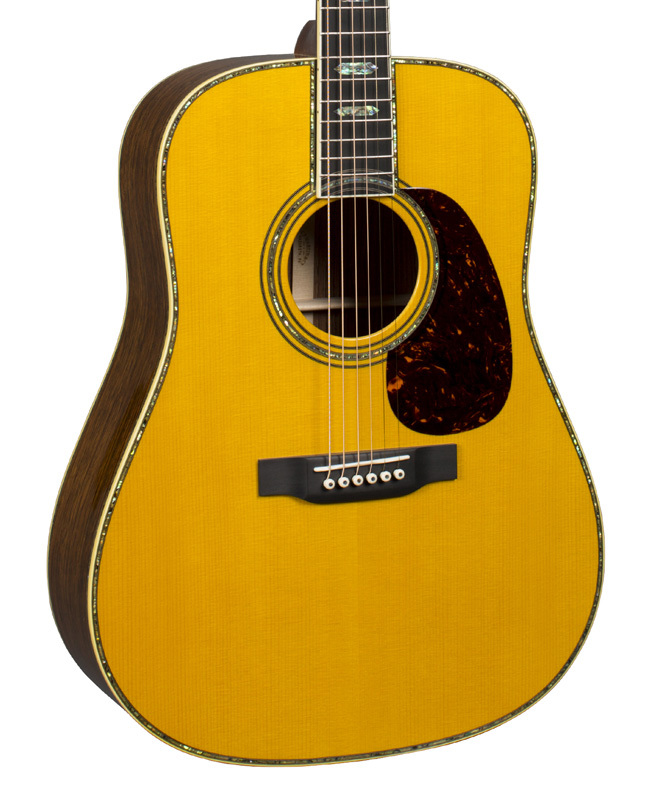 Martin has introduced a new flashy new signature model, the D-45 John Mayer. The new model builds on the template of the D-45, which has historically ranked as the highest-end dreadnought in Martin's catalog. "This stunning dreadnought pays tribute to one of today’s top guitarists with one of Martin’s most prestigious models, the D-45. Crafted with Guatemalan Rosewood back and sides and an Engelmann spruce top with aging toner and forward shifted Adirondack X braces, this tonal masterpiece was designed by John Mayer and created by the master craftspeople in the Martin Custom Shop. Boasting a full thickness neck with hexagon inlays, bone nut and saddle, and gold open gear tuners, the D-45 John Mayer also features an interior label personally signed by the 7 time Grammy Award winning artist." The guitar is not the first signature model the historic acoustic maker has built for Mr. Mayer. The OMJM model has been in production since 2006, while 2012 saw the release of the limited edition 00-42SC—a guitar inspired by American frontier instruments of the 19th century. According to Martin, the guitar will carry a list price of $14,999. We expect more details on this and other Martin guitars at NAMM later this month.